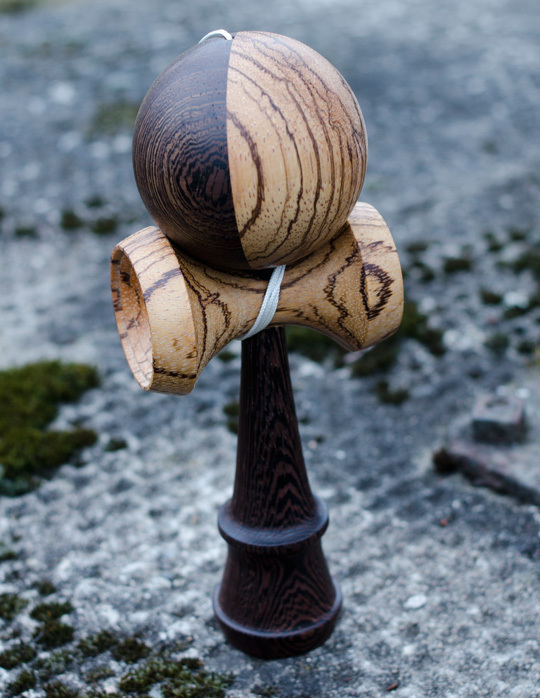 Fully handmade Kendama. The cups are made of zebrano and ken is from wenge. Tama is divided into zebrano and wenge. Kendama is coated with beeswax.